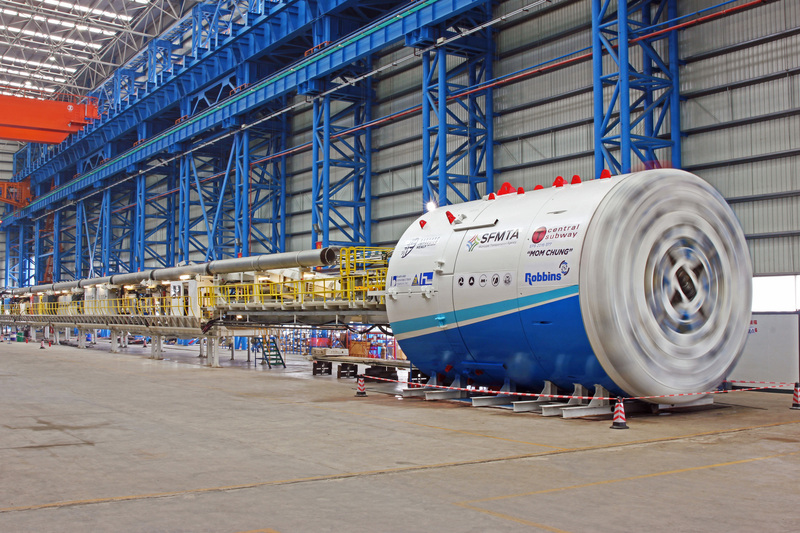 ART OF TRANSIT: One of the two tunnel boring machines that will soon arrive in San Francisco to help dig the Central Subway. Photo: San Francisco Muni. Writer Sara Sulaiman offers an in-depth look at safety issues along Metro’s busiest light rail line and tackles the big question: why are there more pedestrian fatalities along the Blue Line than other similar light rail lines? After spending a day riding my bike alongside the Blue Line and hanging out at crossings, it seemed to me that, at least at present, the current problem is not racism, non-Mexicans who are not used to trains, the Blue Line itself, or (for the most part) current Metro safety measures. In Watts, Union Pacific tracks are more easily accesible than the Blue Line tracks, which are fenced off. The problem, from my casual observation, is that only one side of an intersection benefits from Metro’s safety infrastructure throughout much of South L.A.
One or two sets of Union Pacific rail tracks run alongside the Blue Line tracks for much of its trajectory. Because Union Pacific manages thousands and thousands of miles of tracks, they have been reluctant to supply their South L.A. crossings with anything more than the most basic of safety measures. What this means is that, at present, pedestrian traffic is only partially adequately halted through the use of infrastructure like ped barrier arms (see photo below). People entering the intersection from the Union Pacific side encounter no such barriers and are consistently more likely to move across the tracks, even while the lights are flashing and trains are approaching. As Sulaiman explains, while there have been a number of safety improvements over the years, more are on the way. Metro plans to install some pedestrian gates along the U.P. side of the tracks and has partnered with the Didi Hirsch Suicide Prevention Center to post signs along the tracks to encourage people to seek help instead of do harm to themselves. Please read the Streetsblog post. It’s better than anything I’ve seen the media write about the Blue Line in a long, long time. 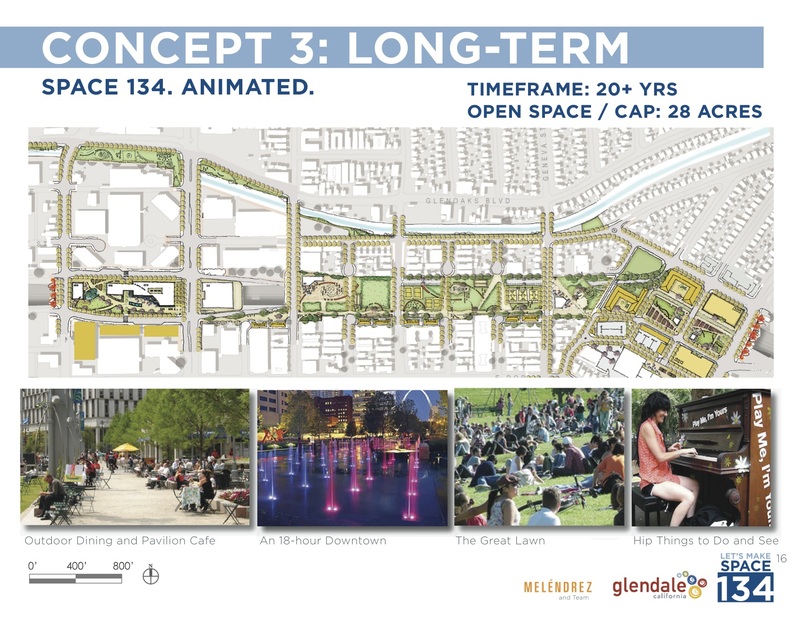 There has been talk in recent years of capping the 101 freeway in downtown Los Angeles and Hollywood and the 10 freeway in Santa Monica and now here’s another concept: putting a lid on the 134 freeway that passes through downtown Glendale. It’s just talk at this point, but the concept plan calls for a phased approach that would slowly increase green space near the freeway and Verdugo Wash until the freeway is finally capped. Perched on the edge of cliffs overlooking the Pacific, Highway 1 has always been landslide prone — especially in the aptly named Devil’s Slide away north of Half Moon Bay. In an effort to keep landslides from closing the road, Caltrans has built a new 4,200-foot-long tunnel and a new 1,000-foot long bridge leading to the south portal of the tunnel. It’s one of several efforts being undertaken along Highway 1 to keep it from tumbling into the sea. The new bridge leading to the new tunnel. Photo: Caltrans. In an effort to speed up traffic, toll collection is going fully automatic on the venerable bridge. Motorists can continue to pay via their FasTrak accounts (if you have a FasTrak transponder for the ExpressLanes it will work in San Francisco and elsewhere in California) and there are now other options, including internet payments. Motorists that make no effort to pay will get a bill in the mail — yes, they’re taking pics of your license plate. Here’s the news release explaining the payments. I don’t understand why Glendale does not have light rail. Can someone explain to me what the argument is behind the ‘trains are racist’ idea? I don’t think anyone is saying trains are racist (aside from the Bus Riders Union who think they’re only built for the enjoyment of white capitalist oppressors). But the Blue Line has the highest number of people of color riding it (something like 90% I believe) and it goes through predominately working class black and latino neighborhoods. It also causes, by far, the highest number of fatalities so it’s not a huge leap to think maybe Metro isn’t being as careful with this line as others because of the population affected. This idea ignores, however, that “minorities” make up a majority of the ridership on every line in the city and that every line spends a considerable amount of time going through working class neighborhoods. However, in LA, train system is a division between people who drive and people who don’t drive. For the past 2 decades, LA’s rail system does not benefit non car drivers. People have to drive to get to train stations. The bus system that get to train stations or various destinations have not improved. LA transit agencies have done excellent jobs to make sure car drivers have better access to rail stations such as parking lot expansion and in door parking. I talked to many bus riders, they got frustrated that rails don’t impact. After 20 years of observation, every time rails got built, the bus service does not improve.. One measure R supporter even told me many bus service would be cut. The reason, people love trains. Of course, people mean car drivers. One time I talked to Mexican. He worked very hard. he had two jobs. He rode bikes and took bus to get around. Sometimes, he had to ride bike for 10 miles because the buses system are terrible.t The rail improvement does not impact them. He told me up front rails are for rich people. When I told him I am a programmer, he gave a surprised. Why would a programmer take buses? Look what happen to the rail system. You need cars to get to train stations. Once you reach stations, you still need cars to get around. Many people take trains if the destinations are near their work place and their work schedules meet that special window period (6am to 8am and 4pm to 6pm). Those people drive if there is no traffic. Rail system is not racist, but the poor people especially Mexican, Black, and immigrants don’t get benefits. In fact many train riders don’t want to take buses because they don’t want to intermingle with weird people. I heard from many car drivers. However, In LA, rail system is clear division between poor and middle class. Even though some bus riders are middle classes. Many rail riders would never take bus service. Many bus riders have to succumb taking transit system. FYI. I am a middle class Asian, and I take public transportation all my life. I have taken bus, rails (such as Amtrak, metrolink, various subway). I also went to many places that have good public transportation such as DC, Vancouver, San Francisco, and Hong Kong. The rail system supplement bus service. Unlike LA, there is no such thing as rail or bus rider. In LA, there is such distinction call bus or rail riders. It is because LA has ignored the purpose of the public transportation, move people around without cars. I’ll toss in my three cents. I certainly do not believe trains are racist — I consider them upgrades for many people who either depend on transit or use it by choice. And Metro’s rail lines certainly serve many parts of L.A. County, including low-income areas. I also think the first-mile/last-mile issue is a challenge that faces many transit lines — in particular rail lines that don’t have as many stops/stations. I think in our region the first-mile/last-mile can still be an uphill battle across many different neighborhoods. So I understand when people complain that rail lines don’t serve them, although I think the real issue tends to be that rail lines are sometimes not as tied into the overall transit system as well as they can be. I personally don’t believe it’s a matter of race. I think it’s more an issue of working closely with surrounding jurisdictions to get people to and from trains. Yes the Blue Line serves low income areas, but that doesn’t mean it’s the most cheapest way to get around either. Most low income people like myself cannot afford to pay $75 a month for trains. For someone who lives in nice white middle class homes, they clearly can afford it. But for someone like me who struggles to pay rent and the only job I can find is being a shelf stocker at the supermarket, $75 a month is too expensive. Besides, the system is totally unfair. Why should the rich white guys get to travel so far away for the same price as we do? I’d rather just bicycle to work than take the Blue Line. Paying $75 a month for two stations is stupid. And that’s what everyone is doing around here. And that’s why there’s so many dangers in the Blue Line. They need to come up with a better plan like only pay $15 a month for people like me who live and work close by. Then I’d consider taking it. But for $75? Only the rich people living far away benefit. Dont listen to “I want to drive”….he trolls all MTA websites and social media outlets and spews out false facts and hatred towards all and any public transit agencies. He didn’t “talk to anyone” he’s just making up all that nonsense because he is angry at rail supporters. Trsut me. Steve– a few months ago I happened to be at an event attended by the mayor of Pasadena. I asked his staff, given the progress on 101 caps and the amount of time the review process takes, if anyone was looking at capping the 134 in the below-grade section around Lake Street. I think they were completely baffled by the concept. I do not find their bafflement the least bit surprising. I say that as a Pasadena resident! I have rode trains and subways in many cities in the US. I feel that our train system is not overly expensive compared to other cities. The only other option would be for Metro to start charging people on the distance they travel; which many cities presently do. And by the way, on the Metro in DC, they not only charge by how far you travel but also the time of day. During rush hour people pay a premium fare to ride Metro. Also, many cities charge for parking at most of their stations. Yes, some Metro stations here do charge for parking; however, we still have many stations that allow free parking. What is baffling is Todd thinks the 134 Fwy extends to Lake Ave. I think it’s really weird. The scenario should be driving alone/freeway vs. rail/bus/public transit, but somehow it has been manipulated into a bus vs. rail scenario. I guess our politicians can’t cut the fund for freeway, and re-allocate the resources to rail or bus services. If any of them does that, I’m pretty sure he will mark en end to his political life. As for the urban rail safety issue, I think it is a good example for the Murphy’s Law: anything may go wrong will go wrong. Thus, if we don’t want the train to hit the pedestrians, passengers, or cars, the best way is grade-separation and gate on the platform, so there is no way anyone can get hit by the train. But that requires huge amount of money. There is no free lunch, we get what we paid for. I guess we have to face it. A minor correction. 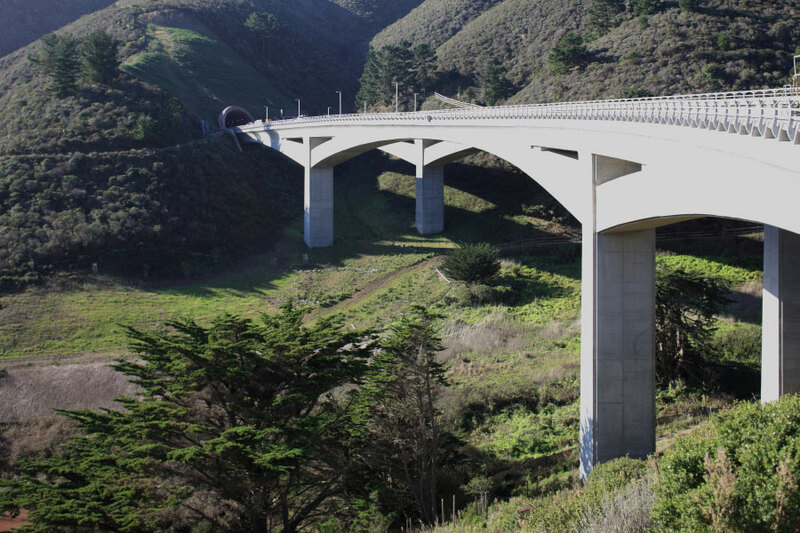 Those bridges connecting to the new Devil’s Slide tunnels near Pacifica connect to the north portals, not the south portals.